A hundred young chickens? Or a new species of chicken called ‘hundred flower’ that is being cooked here? Don’t be fooled. I’ll let you in on a secret: There is no chicken in this except the skin and the hero of the dish is prawn actually. I’m sure if you google this you will find some mythical story behind the birth of this dish, involving some ancient Chinese palace kitchen maid who was forced to create something for the king who has demanded a new dish or else heads will roll. 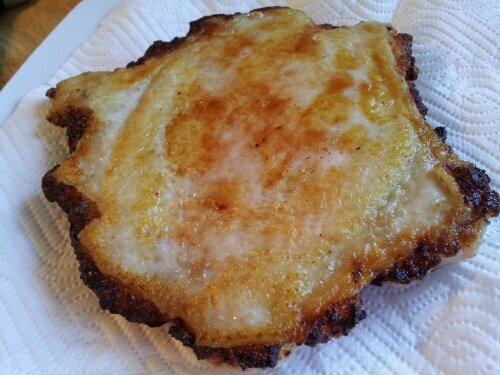 Said maid thought long and hard and came up with such a dish – crispy on the outside and springy on the inside. King loved it and everyone was saved. The End. Anyway they all seem to have similar stories like that. My mum went about trying it and it became one of those special dishes we do for special occasions or guests. I’ve simplified it a bit here by removing the crushed cashews – they just burn too easily and I reckon I could save on the calories for dessert instead! 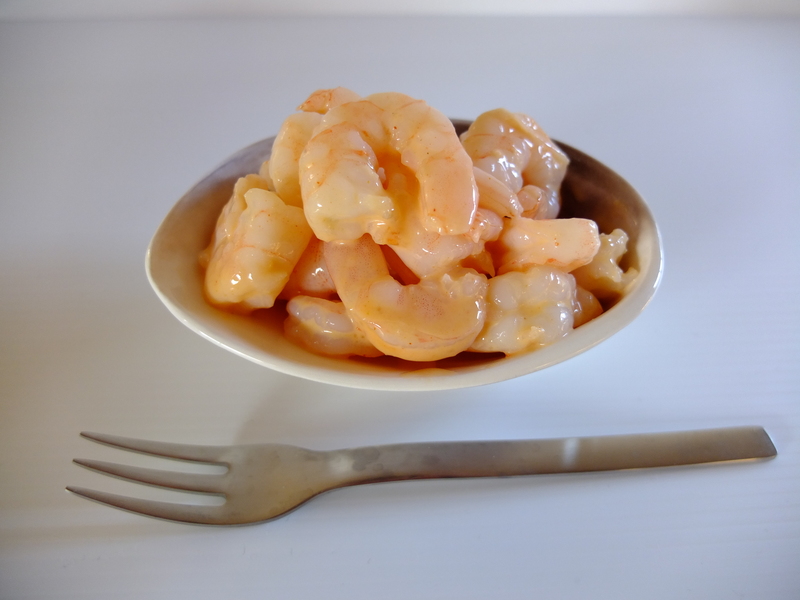 Drain excess water from prawns and tip them onto a chopping board. Stand tall, roll your shoulders back and prepare yourself (well your arms at least) for a good workout. Using first 1 knife chop the cutlets small. Best to use a chefy technique where you hold the tip of the knife down with your left hand while moving the blade up and down with your right. 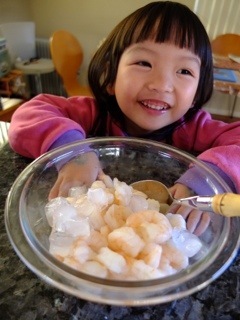 When they have been all chopped, proceed to use two knives to give the prawn meat a good hammering. This is also good for your mind as you channel all your negative energy into moving your arms and mincing the prawns. 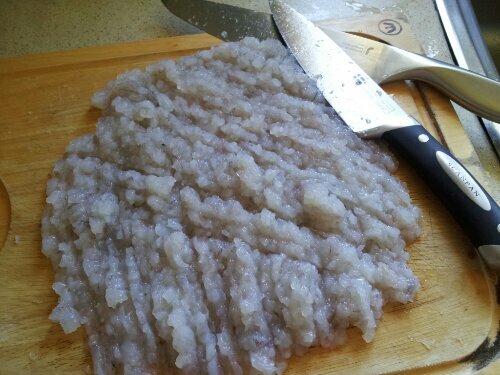 Scrape the flattened prawn meat into a heap and give it another hammering. Repeat for a few times until you feel calm and all zen-like. I would suggest 4-5 times is enough. If not, you may benefit from some kick boxing classes!! 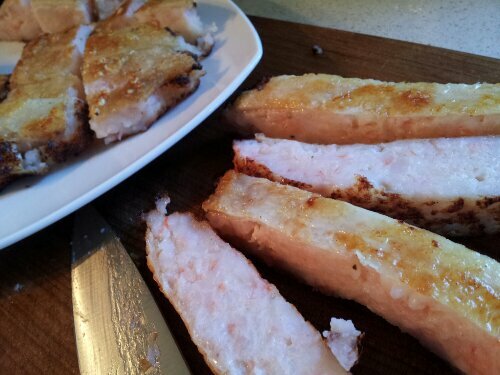 Put the prawn meat into a bowl and add the marinade in. Give it a few crazy stirs and when your arms are tired, leave it for 10 minutes. 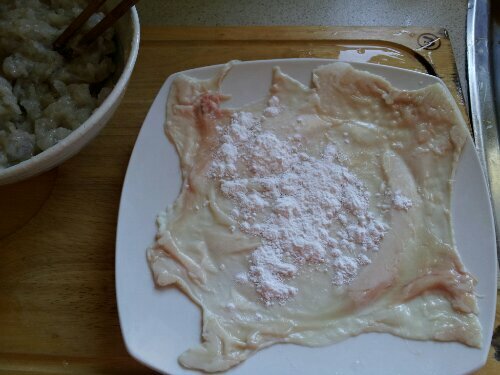 Dry the chicken skin and pat a good amount of cornflour on the inside of the skin, covering it all over. 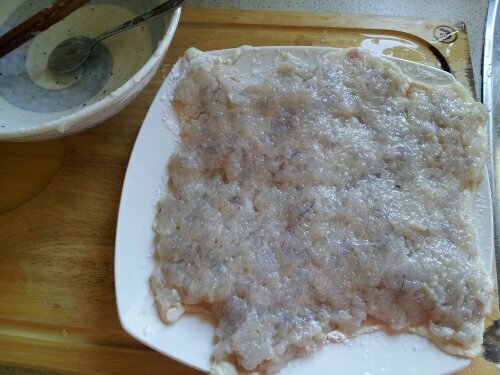 Using a large soup spoon, smear the prawn meat onto the chicken skin. Smooth it down and even. Now you have a large pattie. Heat the pan up and add a tiny teaspoon of oil. When it is hot, place the pattie in, skin side down. 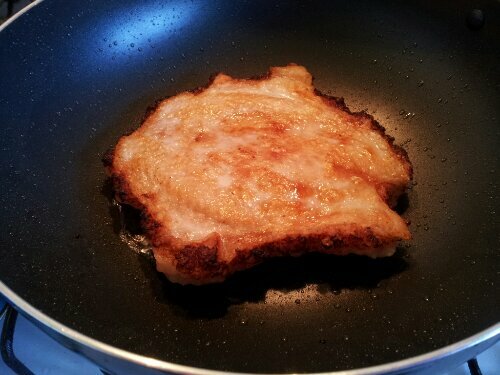 Pan fry for 1 minute on high and then 2 minutes on medium, till golden. Turn over and fry for another 3 minutes. Watch it to make sure it doesn’t burn. 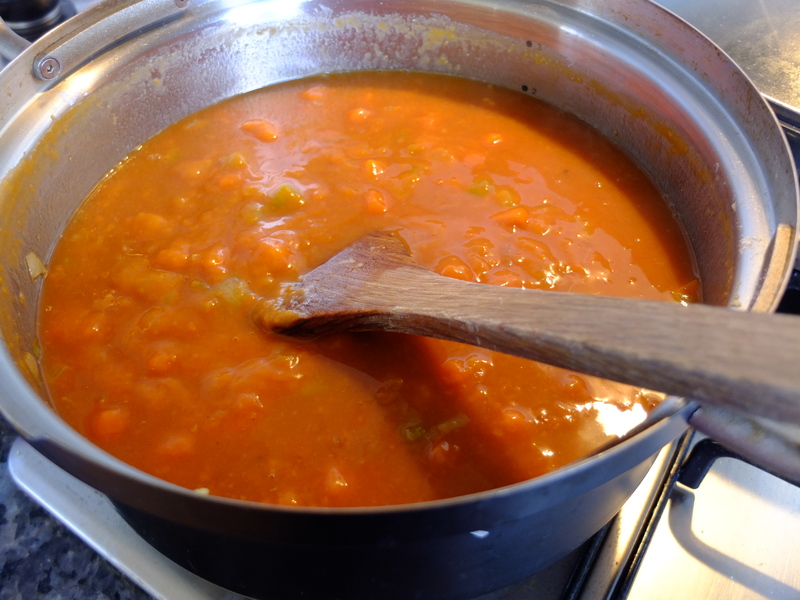 Served here with some magic sauce – better known to most children as tomato sauce. Ps. 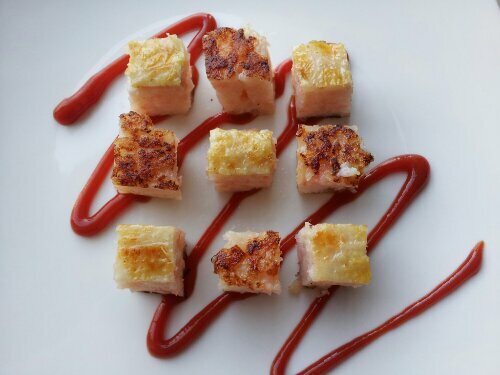 If I ever have the guts to apply for a spot in Masterchef, this would be my audition dish!! I’ve only recently tried the famous Bluff Oysters – it was so delicious that my friend and I who were sharing the entree dish were left wanting more! Unfortunately the restaurant had no more for the evening so we couldn’t indulge our taste buds further. I decided to pair it with a simple chilli, lime and ginger dressing. 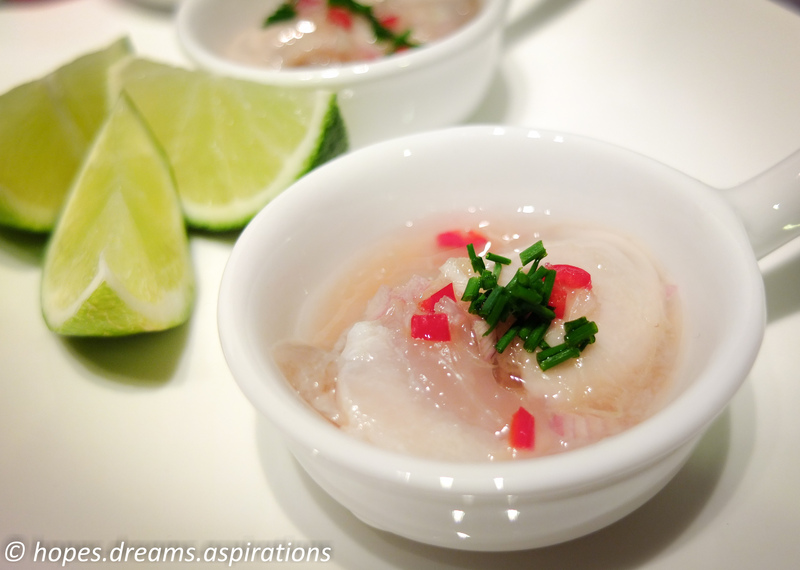 Combine the lime juice, fish sauce, sugar, ginger, red chilli and shallot. Keep it in the fridge until you are ready to serve. Place the oysters individually on serving spoons and top with a teaspoonful of the dressing. Garnish with the chopped chives and lime. Place extra dressing in a small dish and place on the side for everyone to help themselves. This is a great party appetizer! Verdict? We both agree that Bluff oysters are supreme. We are hooked! So wish the season is longer. 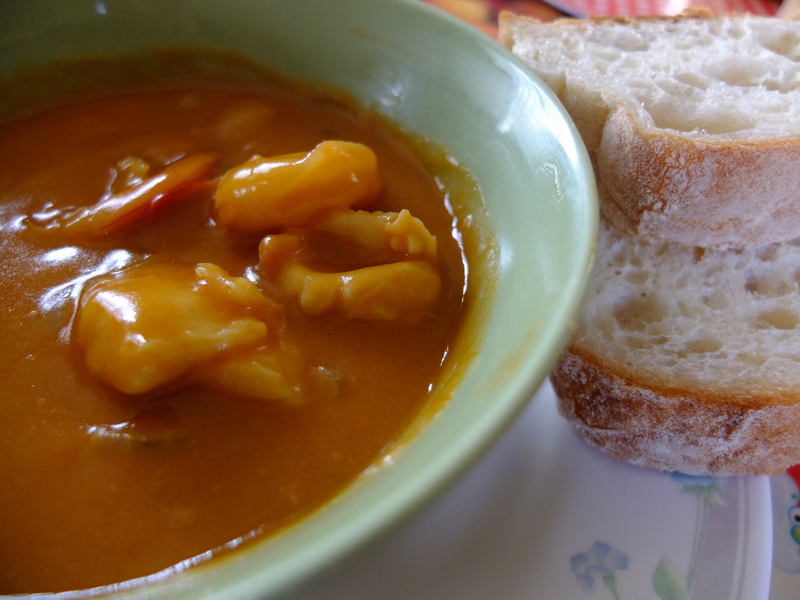 I learnt this easy seafood chowder from watching Masterchef Australia. Fleur Sullivan, the chef, is from NZ! This seafood chowder is made with roux, a mixture of flour and butter. I’ve modified this recipe a bit to reduce the amount of butter to make it lighter. You can pretty much add any seafood in as you like, using any in season, fresh produce you can find locally. Choose a firm type of fish, like Hapuka, which is a grouper in NZ. 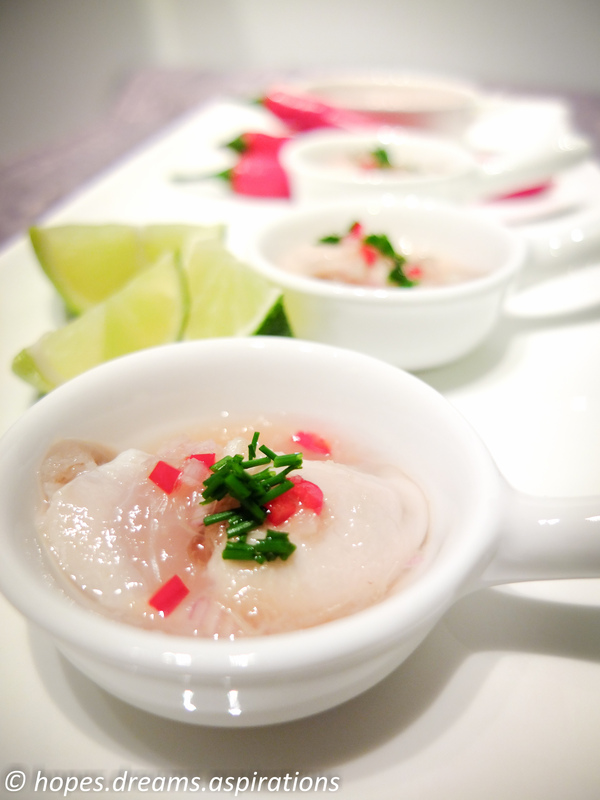 You can also use little neck clams, scallops or mussels. 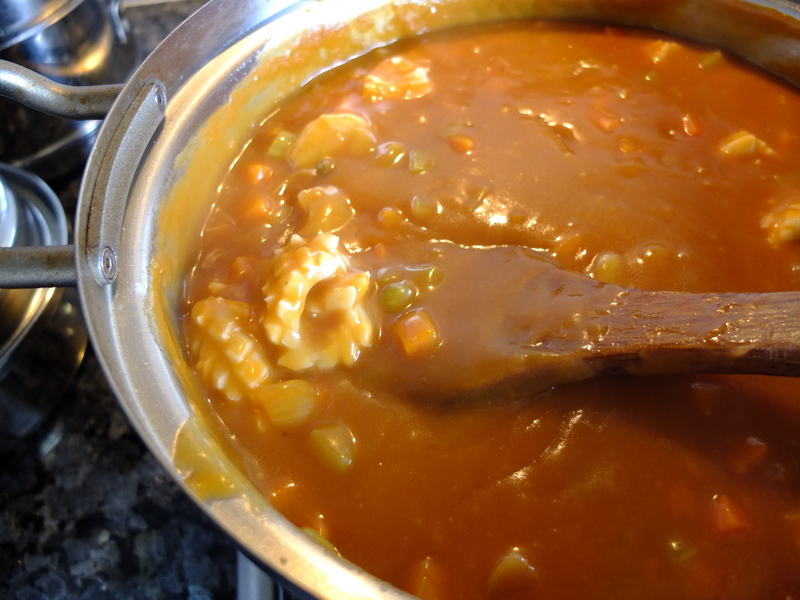 *The seafood stock is one I’ve made earlier with the heads of scampi heads boiled down with “the holy trinity” vege trio – onions, carrots and celery (Mirepoix in French). This vegetable mix is a very common starter for soups and stews. They are usually finely diced and then sautéed in oil or butter. 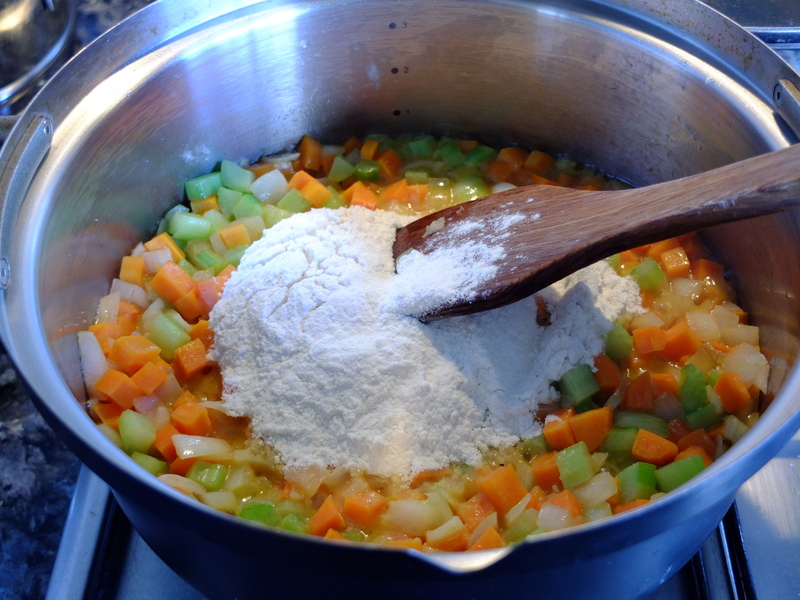 In a large heavy based saucepan melt butter and add diced vegetables. Sweat for a few minutes but do not allow to colour. 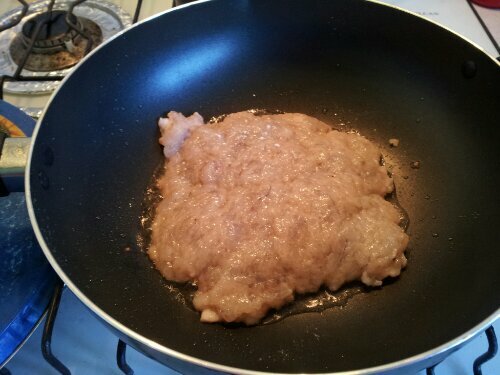 Add the flour and cook for 2 minutes or until mixture has a sandy texture. Slowly pour in the wine and tomato paste and bring together as it thickens to remove all the lumps. 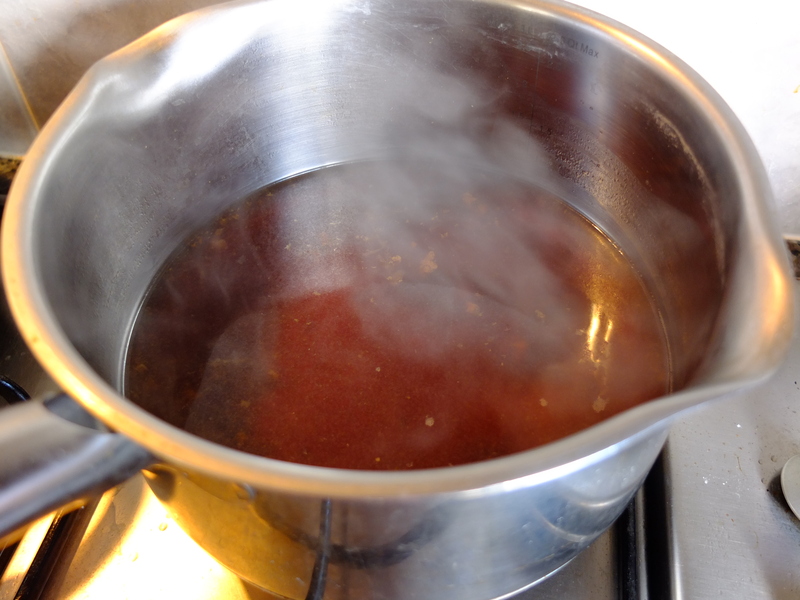 Add the warmed stock slowly, stirring continuously, and drop in the herbs and spices. Allow the chowder to come to the boil, and stir to keep the ingredients from sticking to the bottom of the pan. Add all the fish and shellfish and simmer until the shells begin to open and the fish is cooked through. Serve with sourdough or ciabatta. 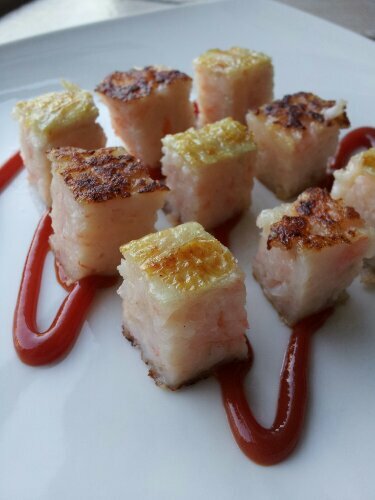 Upon realizing J is not allergic to prawns, this dish has appeared on our dinner menu at least once a week. Why? 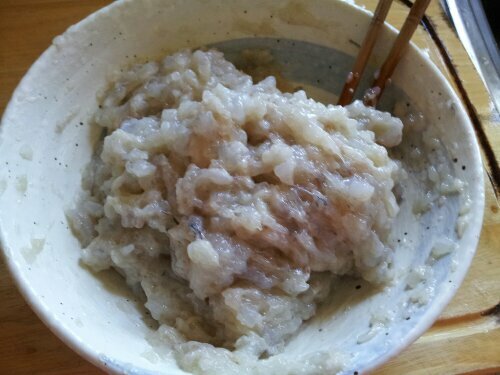 It is quick, completes in under 10 minutes, can be made in advance and is delicious. Good quality prawns were hard to find in New Zealand many moons ago, and you’ll have to pay a premium for them. In the last few years, the market has opened up and it is now very easy to buy good quality and affordable prawns even in the supermarket. All you need here are the prawns, some ice, and thousand island dressing. For this dish, I prefer using the frozen, shelled but uncooked ones. It offers an easy start for my dish and saves me time. Flavour wise, it does not make a significant difference. It does however make a huge difference in cost when compared to fresh prawns! 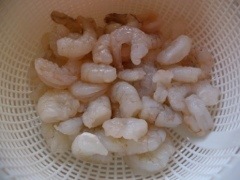 Defrost the prawns by rinsing them in water, leave it to drain in a colander. Bring a pot of water to a boil. 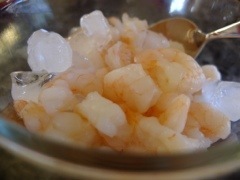 Salt the water with 1 tsp of salt and add the prawns in. 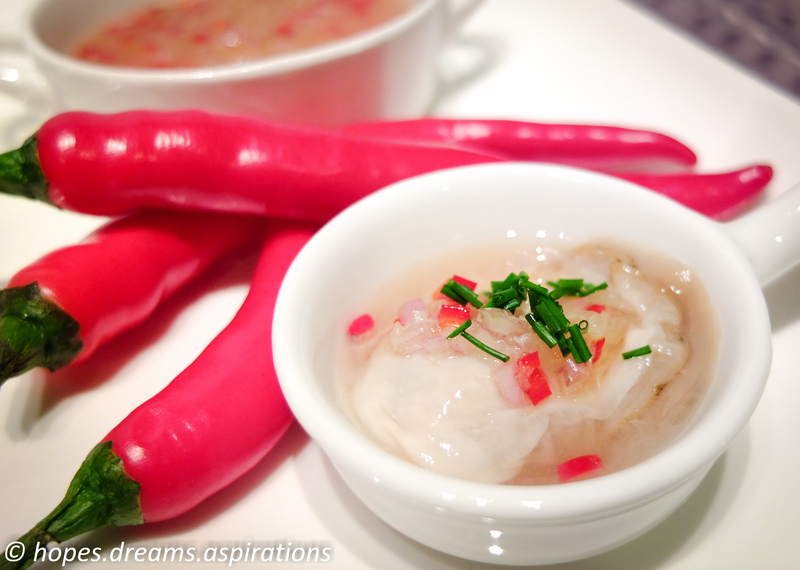 Once the prawns has changed to a pink colour, leave it to cook for a further 30 seconds. 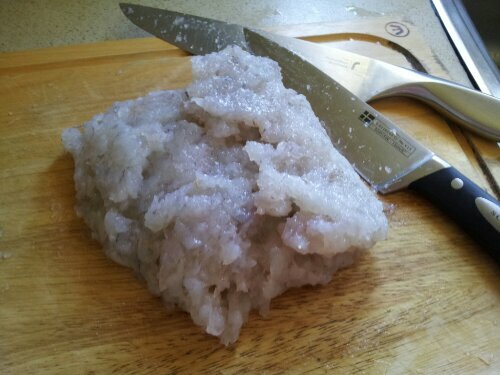 Then, strain it and put it in a bowl with the ice. This stops them from over cooking and retains a nice crunch when you bite into it. 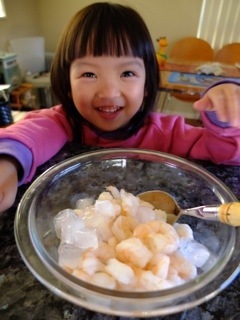 Mix the prawns with the ice and leave it to cool. J likes to stir them from time to time. 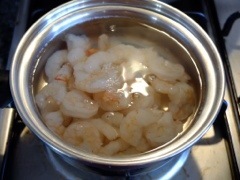 Drain the water off and dry the prawns by lightly patting them with a paper towel. Add the thousand island dressing in, mix to coat evenly. Refrigerate until service time. Just like macarons, they taste better the next day – but who can wait that long?